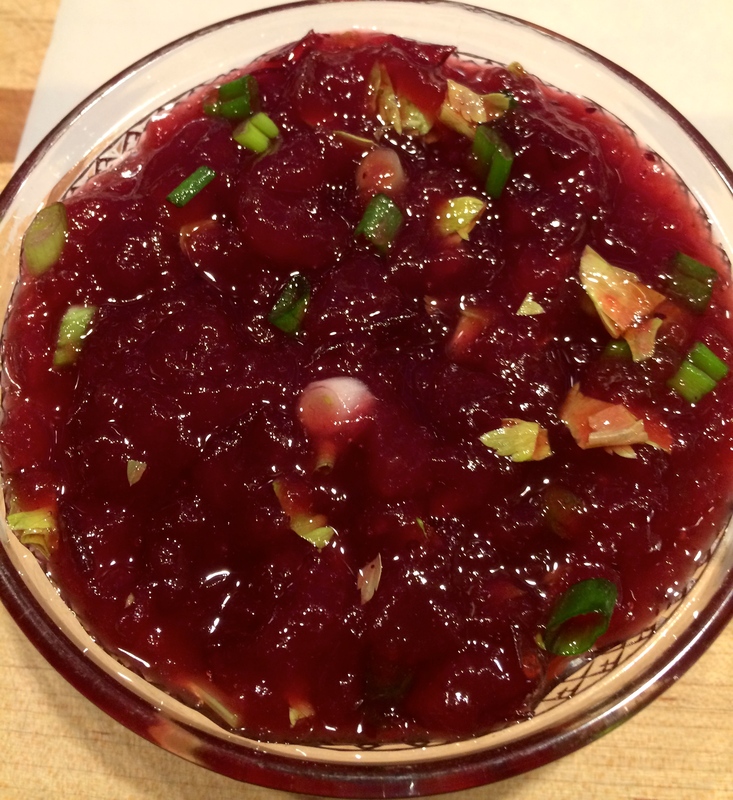 Whole berry cranberry sauce with a jalapeno kick. Taco chips aren’t just for summer any more! Mix all ingredients together. Allow to chill well before serving with taco chips. Feel free to add a pinch of dried cumin and/or some cilantro leaves to give it more Southwestern flavor. This entry was posted in recipe and tagged cranberry sauce, jalapeno peppers. Bookmark the permalink.